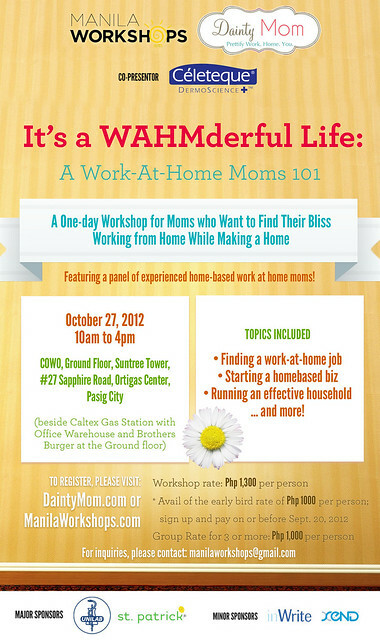 Last October 27, I attended the "It's A WAHMderful Life" Workshop by Dainty Mom and Manila Workshops. 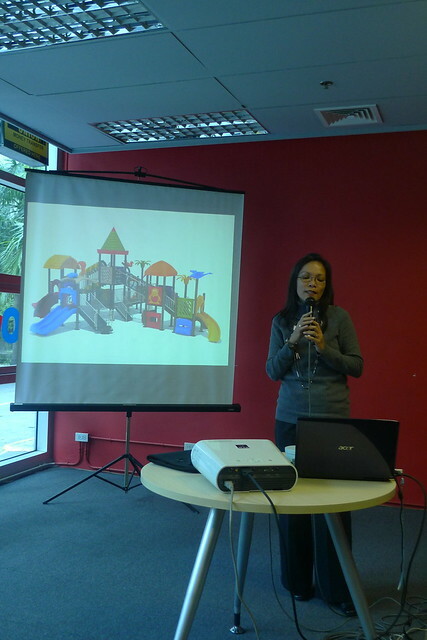 I blogged about it here, and I also mentioned that my dream and goal is to be a WAHM (Work-at-Home Mom) one day (soon!). I immediately signed up when I learned about this workshop and I was really really excited about it. 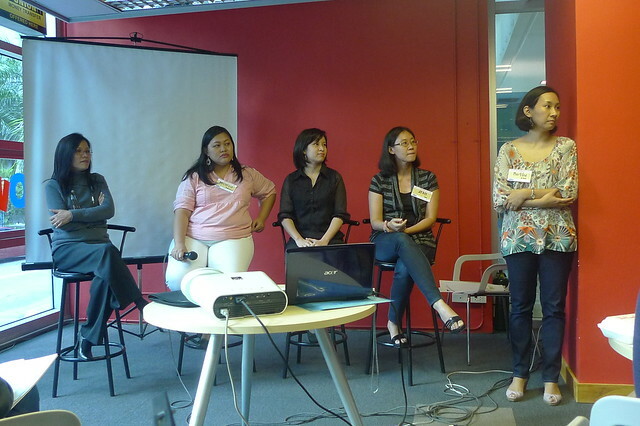 Also attended the workshop were Ceemee, Tina, Lily, and Frances! Finally met Tina and Frances who I get to "chat" with on Twitter. I also got to meet other like minded moms! It was a day of just soaking myself with stories, information, and insights of successful WAHMs. Side story first: After I left my first job and in between looking for another job (which is my current), I was also looking for Work-at-Home jobs. I wasn't a mom yet at that time but I wanted to work from home. I signed up with Odesk but I couldn't find any job that I wanted. I did write a few articles, transcribed one audio but that wasn't my bliss YET. Is there such thing? Another factor is that my family is pressuring me to find another job ASAP! 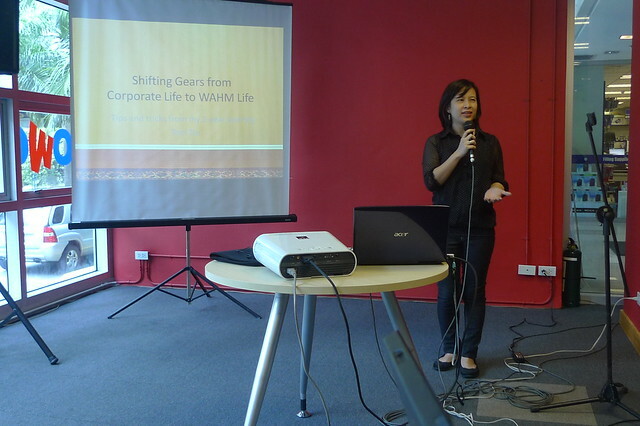 Working from home isn't the norm, going to the office, dressed in a corporate attire is the norm. So 2.5 years later, I'm still here at my current job. Ok, back to the workshop. The day started with an opening and welcome remarks by Ginger of Manila Workshops followed by an introduction by Martine, who is really my peg, idol, inspiration for being a WAHM. I wish I can write as good as her. She shared her story and journey to becoming a WAHM. One of the things I was curious to know about WAHMs is how do they manage their time, kids, household chores and all that which I got the answer naman. And there's no such thing as WORK-LIFE balance! 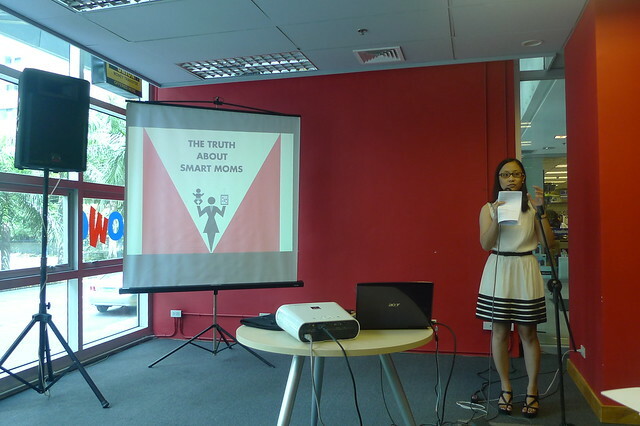 Hehe..
Next speaker was Ethel Sanchez of McCann World Group where she talked about "The Truth About Smart Moms". Really really interesting! I have yet to finish reading the hand out that was given to us during the workshop. The next part is the highlight and best part for me where WAHMs share their stories from being a working girl to a WAHM. Really really inspiring. I really wish I have the courage now to quit my job but by listening to them, I have to prepare myself financially first before jumping into the WAHM bandwagon. 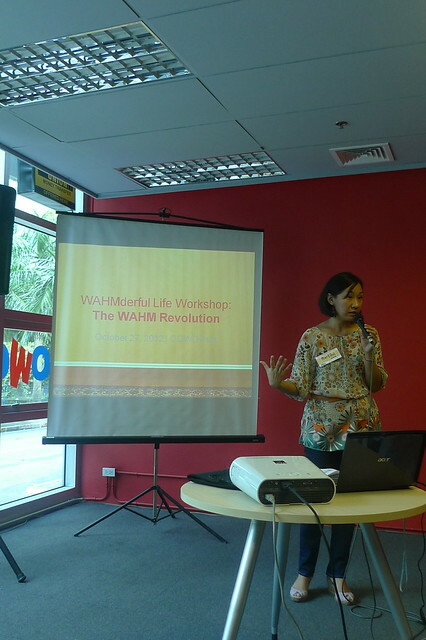 Marge Aberasturi, a very successful WAHM! WAHM of WAHMs I must say. Along with the workshop kits are work sheets and talk sheets which are very very helpful. Hoping I can get to it one of these days. What stuck with me was creating your own Mom Mission Statement. Do you have one? I have yet to create my own mission statement! Creating one for my biz was hard, eto pa kaya for myself? Haha! 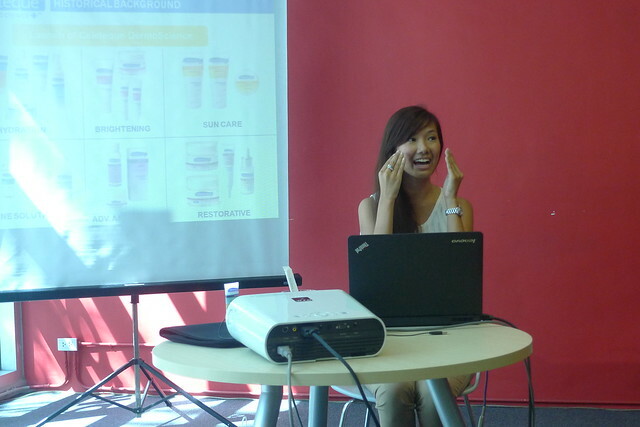 One of the sponsors for the workshop was Celeteque and the brand manager (forgot her name! sorry! :() gave as a demo on how to apply their products correctly! May ganun pala! Now I know! ﻿The rest of the afternoon was all about the nitty and gritty of being a WAHM, what kind of jobs you can do, online profiles and portfolios, home management tips and more! I wish I wrote what was said. 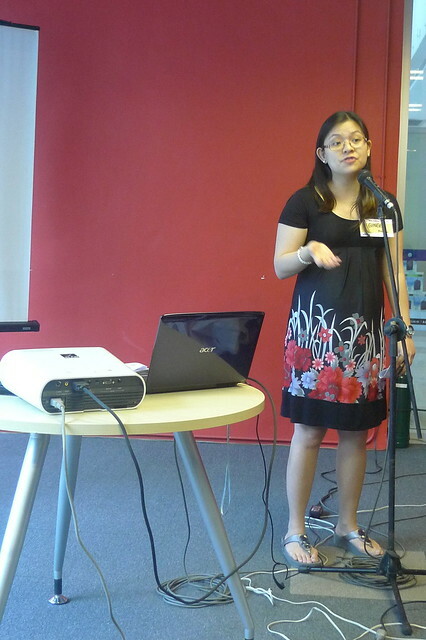 I was too immersed on what the speakers were saying that I just listened. Ngayon nakalimutan ko na lahat! LOL! The last part was as open forum. All of these womean are rocking the WAHM life! Marge Aberasturi, Michelle Padrelanan, Toni Tiu, and Jenn Tan! Most of the questions asked were the questions I've been wanting to ask. I always think highly of moms who stay at home, running a household, taking care of the kids, working pa and some of these women have no nannies of household help! How amazing diba? Sometimes I get crazy at home and I have help! I always remember the scene from the movie SATC part 2 where Miranda and Charlotte are drinking and talking about how hard it is to be a mom. Kaya kudos talaga to these WAHMs! I'm on my own journey into becoming a WAHM. My goal is to quit working maybe end of the year or next year. I just started a business and still testing the waters! 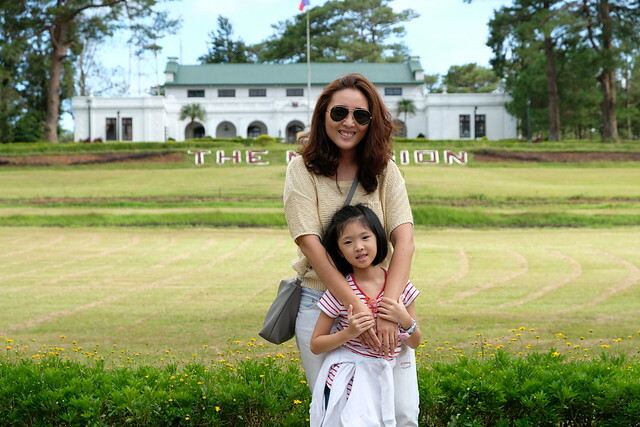 Thank you again to Dainty Mom and Manila Workshops for this wonderful experience! And if you're like me who wants to be a WAHM, there's another workshop on January. No details yet. You can check Manila Workshops and sign up to get updated with their upcoming workshops! Also, there's a FB Group for Work At Home Moms in Manila, https://www.facebook.com/groups/WAHMmanila/, join the group if you're a WAHM or wants to be a WAHM! Oh, gosh! Why did I not see this entry before?! Hahaha! I only read this when I read your 2013 post! Happy New Year, Cai! 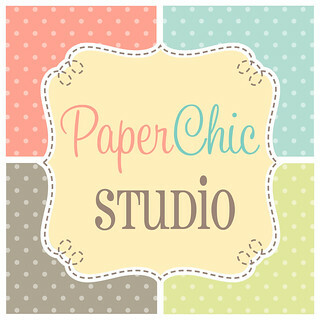 So glad that I met you, and even though we were mostly online, I'm so glad I got to work with you on your "new baby" Paper Chic Studio. All the best to you in 2013!!! !